I have so much to tell you about. 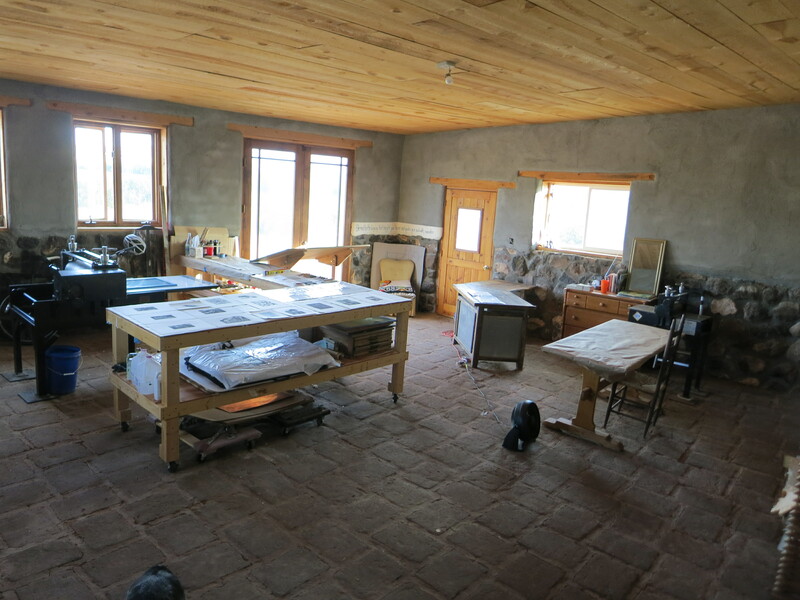 But first, It is Open Studio in Abiquiu, NM October 7 and 8. I am flying back from Brooklyn to participate. Stonetrigger Press will be open, to the public with a huge sale on prints and drawings. I will also have loads of one of a kind journals, but it is only for these two days. For more about the AST, maps, times and artists, you can check the website by clicking here. There are 31 stops but multiple artists at each stop. Make sure to come to stop 4! The Studio Tour is from 10am to 5pm. My studio is at 5 Trigger Drive. From 84, take NM554 (The El Rito Road) 1/2 mile, turn right on CR 142, drive 1 mile to Trigger Drive. It is on your left. There will be signs! I have two exhibitions happening simultaneously. 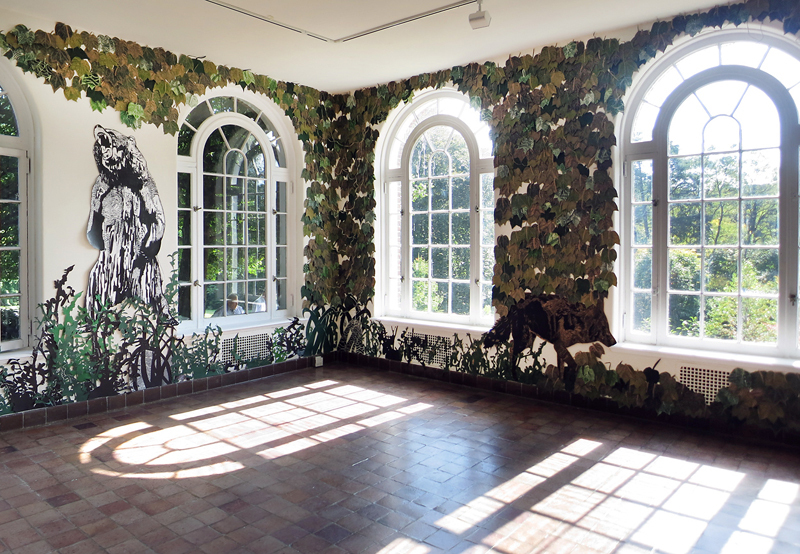 On September 10th, the exhibition, “Call and Response” Wave Hill, Bronx, NY opened. 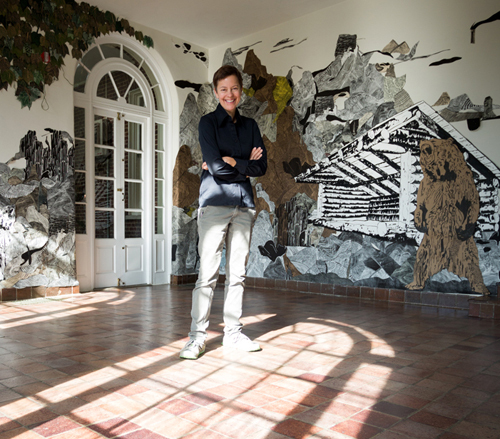 Wave Hill’s curatorial team invited artists who have shown in the Sunroom over the last ten years to return and present new responses, encompassing an exhilarating reexamination of the site, 50 artists, including myself, created work for the show. The exhibition runs through December 3 and it is amazing! 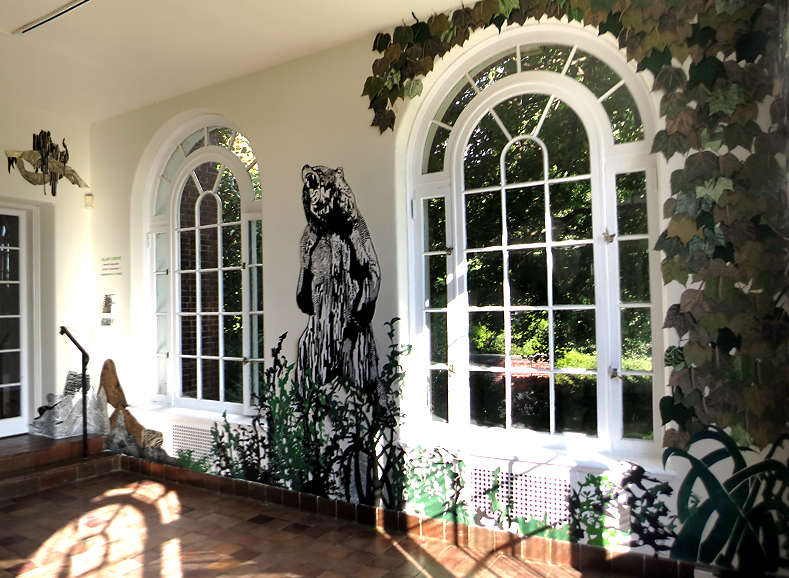 My work is installed in Wave Hill’s Sunroom Gallery with it’s beautiful arched windows. and incredible light. The piece is hand cast flax pots, filed with laser cut plants and tiny rocks hung to form a 7 x 7 grid of 49 pots. This work is my reflection of the tiny plants in Wave Hill’s Alpine House. Next the Moth Migration Project website went live! The MMP is an on-going multi-venue international project that engages communities in both science and art through the crowd-sourcing of handmade paper moths. In the first 6 months I collected, almost 15,000 moths from 24 countries. The premier exhibition is currently on view at 516Arts in Albuquerque, NM. The exhibition opened August 19, 2017 and will run through Nov 11, 2017. This exhibition shows close to 4,000 of the 15,000 moths collected. In addition I have proposals to two Canadian Art Centers and US Galleries. It does not matter where you live, I really want to hear from you. Please consider being a part of this amazing international group. We also have a FB group, click here for the link. After Open Studio I will get to work on my on a project for next summer. I was selected a 2018 artist for the Chilkoot Trail Artist Residency Program by Parks Canada, US Parks Service and The Yukon Arts Center for my project “Trail Magic.” “Trail Magic” engaged other backpackers along the trail with a barters system I devised based on hand printed cards of hiking equipment. I get to spend time backpacking and making art in both Alaska and British Columbia. I may never come back to Brooklyn. 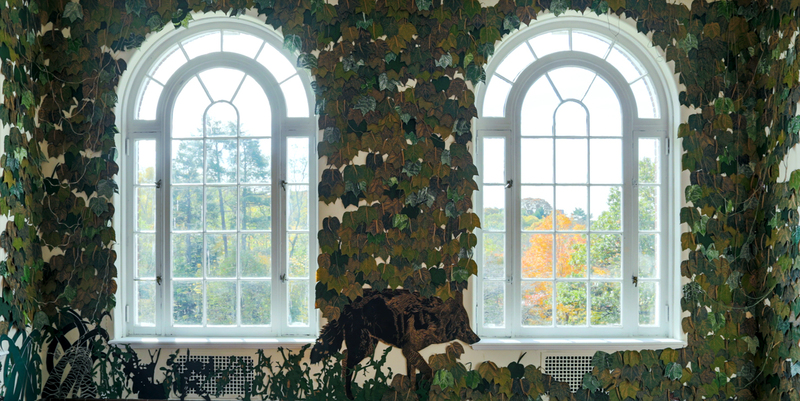 It is an extraordinary fall with lots of exhibitions, open studio, and projects underway for the next two years. I hope you can join me along the way. 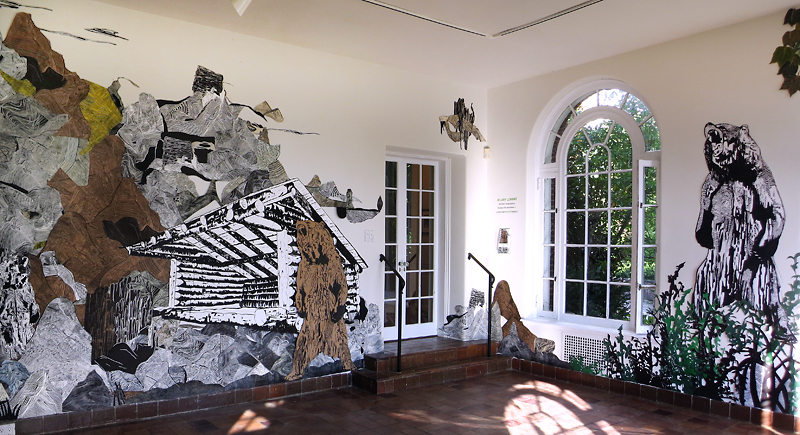 “The Making of a Rock Garden” is a cast paper and linocut installation that I am creating for the exhibition Call & Response curated by Gabriel de Guzman at Wave Hill – a public garden and cultural center in Riverdale, NY. The exhibition opens September 10 and runs through December 3, 2017. Call & Response celebrates the 10th anniversary of Wave Hill’s Sunroom Project Space. In preparation for this artwork I have been experimenting with casting paper pulp. Part of the experiment is finding the right aesthetic for my idea, the other is learning technical skills. Today, I got to spend the day with the amazing Jacqueline Mallegni of Paper Rain Studio in Abiquiu, NM. Jacqueline makes minimalist sculpture and custom lighting all from natural materials. Today she is teaching me how to make shaped flax paper. Jacqueline teaches classes in her studio as well as at the Espanola Fiber Arts Center in NM; Palo Alto Art Center; Gospel Flat Farm Gallery and Commonweal both in Bolinas, CA and the O’Hanlon Art Center Mill Valley, CA. You can find details on these links or her website. The first component of my art installation is the paper planters. I would like them translucent, they must resemble real planters while respecting and taking advantage of the material properties. I also need to make 50 in a reasonable amount of time. I will share with you some of the steps I learned today from Jacqueline. The flax forms drying under the hot New Mexico sun. After drying the detail of the top lip of the finished planter. I experimented with a soft frayed edge and a hard edge. I love learning new things and today was an exceptional day. I am excited to see how these planters evolve and how they will influence the making of the linocut plants that will tumble out of them. I have an exhibition in November at the Lake George Arts Project Courthouse Gallery in Lake George, New York. I am starting work on the artwork this week, and I wanted to share with you my work process. This is a video of me printing about 4000 leaves for a show I just had in New York at Wave Hill. After three months of printing leaves, and mountains and bears, and assorted other plants, I cut them all apart. I love to see how several months of printing will accumulate enough to transform a large gallery space. For Lake George I will do a combination of a wilderness installation and several small printed pieces. But as you can see, it is a lot of printing which I love to do. For the next several months in between my smaller sized print a day project, I will post periodically to show you how this exhibition is unfolding. I am pretty excited about it. Finally if you read this far, I put a few t-shirts on Etsy, you can use yesterdays 20% off code for those as well. What a fantastic three months. Here are three parting photography of my Wave Hill exhibition. The wall of leaves got packed down to one plastic tub, the bears, coyote, and lean-to rolled up, and the plants piled up. The result; a clean and clear gallery for the upcoming artist in residence. Check out the opportunities folks! The work from the Gallery at Pioneer Bluffs is down, with some of the pieces still available through Saatchi Art Gallery On-line. You can check that out. What is ahead? I am working on an edition of 30 prints for a portfolio entitled “Vinyl” curated by Anita Jung to be shown at the Southern Graphics International Conference and collected by Bernard A. Zuckerman Museum of Art at Kennesaw State University. I am also working on pieces for an exhibition at the Courthouse Gallery, Lake George, NY. 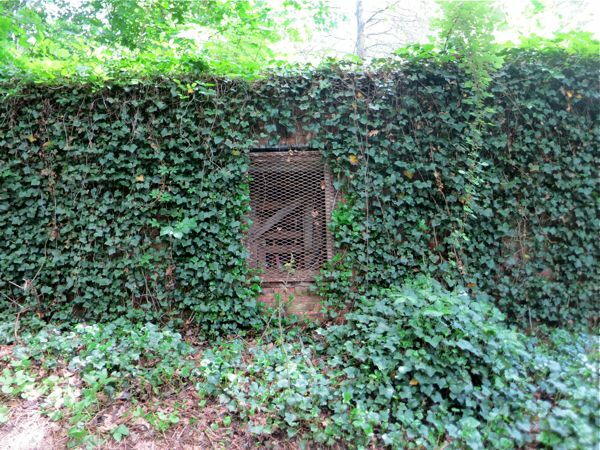 And I just got awarded a Lower Manhattan Cultural Council’s Process Space residency on Governors Island for Winter/Spring 2016. Publicity through LMCC’s website as well as its digital communication channels. In 2016 I will also be jurying the members exhibition for the Printmaking Center of NJ. So I am looking pretty good for 2015 and 2016. I still have a few grant applications out there and I am always looking for new opportunities, but on this day, Winter Solstice 2014, things are looking really bright. This is it, the last two days of my exhibition at Wave Hill and at the Printmaking Center of New Jersey. I will be at Wave Hill on Sunday from noon to 4, please stop by to say “hello.” After that I am packing up and headed out west for my next project. I have to say, it has been a grant experience! This is it, meet the artist day at Wave Hill, November 16 at 1:30. My exhibition has been up since October 18th and I have met many a friend at Wave Hill for a nice tour, but this weekend is the big one, where everyone can come and help me celebrate the completion of this year long project. Be sure to check out the subway construction if you are coming up on the 1 train, driving, bus and metro-north are all options, see the travel page at Wave Hill. If you have never been to Wave Hill you are in for a real treat. This is a very special place, with a great cafe, great art exhibitions, and beautiful gardens that you can hang out all day in. I hope to see you Sunday, after that I am off to Canada for a couple weeks on a new adventure in artist residencies. 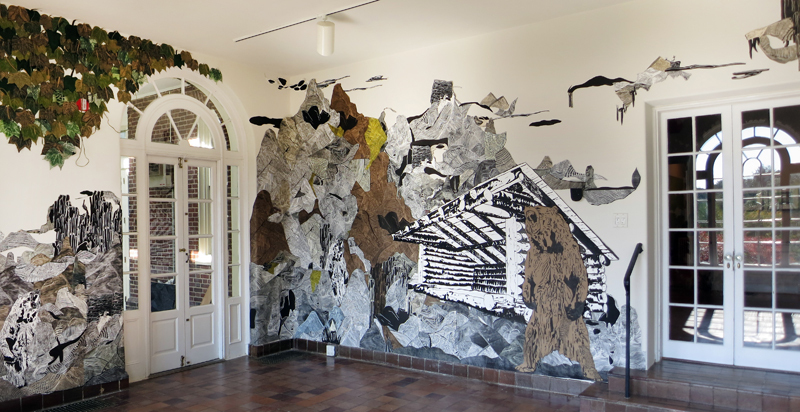 Yesterday I finished the installation of Nomadic Geography, my “interdisciplinary arts project that visually translates the visceral experience of trekking remote landscapes into linoleum block prints, drawings, and room-size installations.” That is my official one sentence description. I will be doing a talk on November 16 at 1:30, but you are welcome to visit the Garden and Cultural Center any day of the week, exception Monday. Post your one sentence description here, or better yet, tweet it! Wow, two out of three days complete as I, along with my highly motivated, brilliant and faithful helpers, work on my Wave Hill Exhibition install. I have been waiting all year from this and now it is in high wear and looking amazing. Check it out so far, it opens October 18, 2018 with a talk/reception November 16. Here are two of the four walls in progress. Drawings Shipped to Framer, Lean-to close to done. 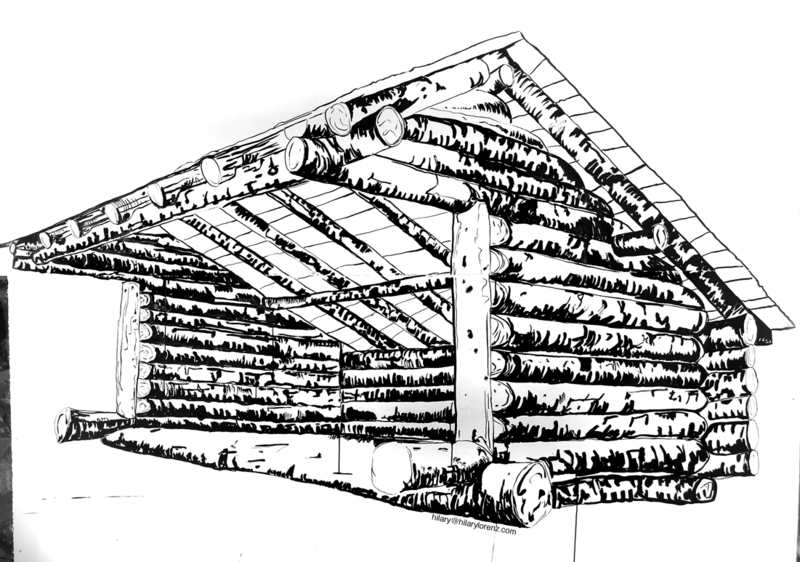 My lean-to ink drawing is on it’s way to completion. This will be going into my exhibition at Wave Hill in October. It is big, about 8 feet long and I hope to have it done in the next couple of days. On Friday I shipped all 19 drawings (the of which are already sold!) to the framer. I have the best framing in the world, Rabbet Art Gallery in New Brunswick, NJ. Dot, always takes great care of my artwork. I went to a few framers in Santa Fe, but I decided to keep loyal to Rabbet. I am completely confident that they will frame it and have it waiting for me at the Gallery at Pioneer Bluffs when I get there on October 2. I had the chance to hike and run last weekend. A friend and I went to Chicoma Mountain, highest peak in the Jemez Mountains, no trail and a 26 mile forest road to drive in on made it a great adventure. The highlight of the day was seeing an Elk. Funny thing is, the prior week an Elk was my spirit animal. The day before the hike I went on a run along the Rio Grande Gorge from Pillar to the Taos Bridge, stopped 3 miles short of the bridge. I ended with 16 miles, but it was a rough run. It should have been easy but with all the direct sunlight it was just too hot for me. Today everything is bright and beautiful here in Abiquiu, NM, three more weeks and I start my drive east for all these shows. Until then, you will find me in my studio. I am working on my show for Wave Hill . Right now I am in production and testing phase. 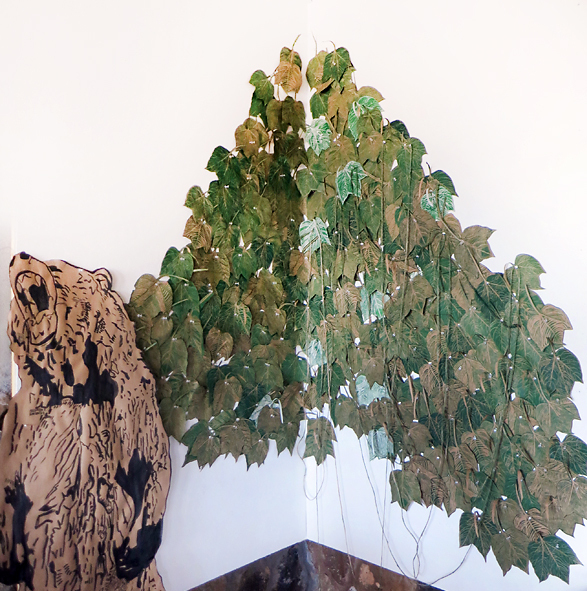 I printed and cut out, with the help of my friend Clare, about 100, 24″ x 36″ pages of printed leaves. 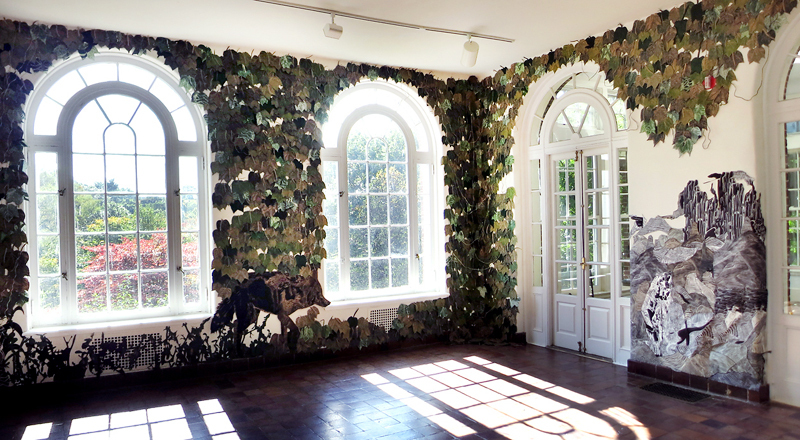 The leaves are based on of the many ivy covered walls at Wave Hill. Today we continued to cut leaves. I have printed them on brown contractors papers, Japanese kozo that was pre-printed on the back side, and Rives black so there will be a variety of color textures. This is about 1/3 of the leaves. This 8′ x 8′ covered is being protected by the bear. I don’t know if he will be included, I just like thin there now. I suspect I have enough cut outs to cover a 10′ x 12′ area. This is be installed in one corner of the gallery. I am working on a 10′ x 12′ ink drawing of a mountain for a long wall. The base of the drawing will be covered with loads of cut out plant silhouette, I will post photos as it develops. I can’t tell you how great it has been to have a whole year to develop this work. Lastly, here is Conrad in the weed infested “yard” next to the Abiquiu, NM studio, looking very glamorous in the afternoon sun. This area was a parking lot that I let grow wild and with so much rain this summer it is quite spectacular.